Should any of these things actually occur I’m not sure what I’d actually do after the initial panic subsides and that’s where this ingenious idea comes in. It uses the one thing most people have within reach most of the time. Their phone. 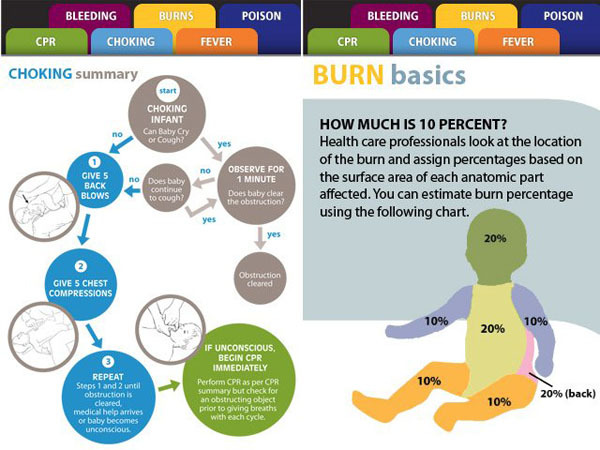 I’ve sung the praises of Baby Medbasics before and I’m grateful that now the clever folk there have created a phone app with all we need to know in case of emergency anywhere at anytime. 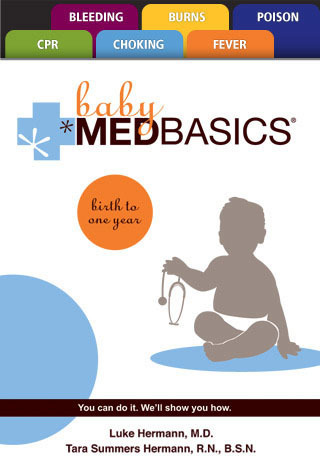 Baby Medbasics has plenty of travel tips for toting small people away on holidays. When it comes to children, we can never be too careful. A list of current medications for everyone in your family including notes on dosage and prescription details. A list of allergies, who suffers from what and what reactions to look for. Contact details for your family doctor. Private health details and cards. If you’re heading overseas, check with your Travel and Health Insurance what you are or aren’t covered for in the country you’re visiting. Also pack some basic child-proofing equipment such as power point plugs and cabinet / drawer locks. While travelling carry your emergency information pack with you. Don’t put it in your luggage or in the boot buried under everything else. If your child has a severe allergy or medical condition use a medic alert bracelet so anyone and everyone who assists you is aware. Carry a portable First Aid kit containing the basics of what you might need (we’re beach dwellers and typically mine includes Stingose spray, Paxyl Suburn Relief, Panadol, vinegar – to name a few) and a small bottle of alcohol free hand sanitiser. If heading overseas, you may not be able to take these with you so put one together when you arrive! Pack in your nappy bag one or two more nappies than you think you’ll need. Delayed flights or public transport hold ups and a nappy explosion also count as emergencies! Familiarise yourself with typical hotel room dangers, get down to your child’s level and see what they see – you may not notice the television cords but they certainly do! Be aware of sun damage and how quickly being out in it can affect your baby. Keep fluids up and keep skin sheltered by light clothing. Remember to apply sunscreen every two hours and after swimming. Only use a carefully screened resort babysitting service. Listen to and trust your instinct. Allow half an hour for your baby to warm up to the sitter and leave your mobile number and emergency details with them. So there it is, a crash course through your Holiday Survival Guide and being prepared for any emergency that (hopefully won’t) pop up. Time to put your feet up and relax! For ultimate peace of mind, download the Baby Medbasics app for iPhone, iPad or iPod Touch from the Apple iTunes store for US$1.99.